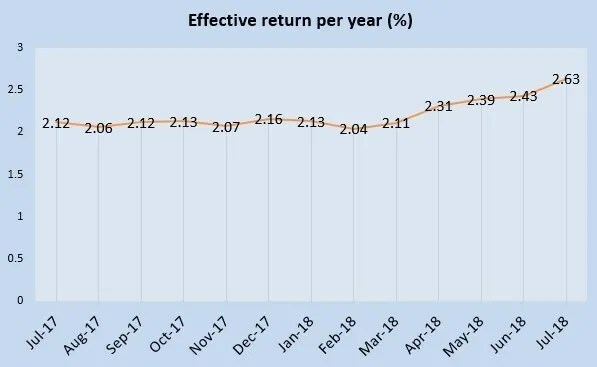 The effective interest rate for July 2018 Singapore Savings Bonds if you held it for 10 years is 2.63%. This is the highest interest rate for the past 12 months of Singapore Savings Bonds. In fact, the interest rate is the same as initial issuance of Singapore Savings Bonds in October 2015.